In 2015, the Religious Sisters of Charity in Ireland celebrated the bicentenary of the foundation of the Congregation by Mary Aikenhead. A number of Sisters from Australia joined Sisters from Ireland, England, Scotland, California, Nigeria, Zimbabwe, and Malawi to commemorate the event. The Mass for the anniversary can be found here. Sr Mary Christian RSC, Congregational Leaders of the Religious Sisters of Charity in Ireland, gave this address to mark 200 years celebrations from Donnybook during the event. The Australian contingent in Ireland for the celebrations was overwhelmed to be presented by the founding Congregation with this amazing portrait of Mary Aikenhead and those who follow in her footsteps (left). 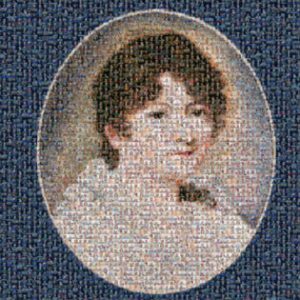 Every Australian Sister is superimposed time and again on the image of Mary Aikenhead – a powerful reminder of the strength of the charism which sustains the Congregation every day. To mark the 200 years since Mary Aikenhead founded the Religious Sisters of Charity in Ireland, the Executive of the Mater Hospital, North Sydney invited Sr Clare Nolan RSC, Congregational Leader and Sisters of Charity to a special Mass concelebrated by Sydney’s Bishop Terry Brady, Fr Paul Coleman, SJ, and Fr Bob Bruce, SJ, in November 2015. Click Congregational Leader 200 celebrations to read Sr Clare’s address on the occasion to mark the bicentenary.